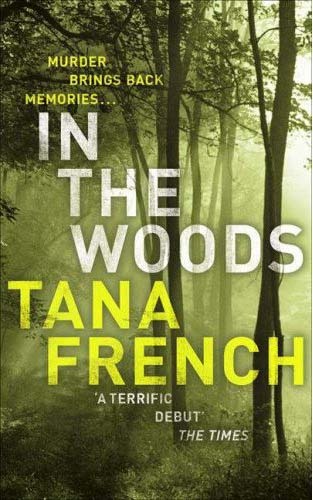 Review: In 1984, 3 young children went into the woods near their homes in Ireland. One was found the next day, standing in blood soaked socks with no recollection of what happened. His friends were never found again and presumed murdered. 'In the Woods' starts 20 years later, when a young girl is found murdered in the same woods. The boy who survived years earlier is now a murder detective on the case. Cassie, his partner and best friend, is the only person who knows about his (possible) connection. Along with their fellow detective Sam, they investigate the murder. This book was set up well: two crimes, twenty years apart. Are they related? Did Detective Rob Ryan murder his friends when they were kids? Is the new crime related? I eagerly read as the two plots unfolded and the first third of the book flew by. The second third of this book detailed Rob, Cassie and Sam's (the murder detectives) police work. It was not thrilling and fast paced like a Law & Order episode. In fact, it is probably a more accurate reflection of what detectives do and it was very slow paced and boring. I almost gave up on the book but forced myself to push through. The last third of the book wrapped up the murder mystery. By this point, I think most readers could figure out who the mastermind behind the present-day killing was. Our narrator, Rob Ryan, transformed from a seemingly competent detective at the beginning of the novel to an irritating, emotionally stunted man who complained (a lot) by the end. If I was his commanding officer, I would have fired him a long time ago. His investigating skills were greatly lacking and I doubt he could have found a McDonalds in downtown Dublin with a map. However, most importantly, the twenty year old crime was not solved! I wanted to throw the book against the wall. I could not believe I wasted my time reading this. However...this book has stayed with me. I started dreaming about and rethinking the plot. I like how the relationship of Rob, Cassie and Sam mirrored that of his friends when he was 12 years old. I was annoyed by his emotional immaturity reading the book but realize if anyone went through a major trauma as a child, this is probably a common side effect. I also really thought about the 20 year old mystery-was Rob involved? My conclusion is that he wasn't. Overall-this was a long read, very boring at times, but it made me think. I like any book that makes me think. I definitely won't reread this book but there are more in the series I may check out.